Panasonic GH5 for stock footage production? Panasonic GH5 for video stock footage production? We really like that good video equipment is getting smaller and better. The new Panasonic Lumix GH5 will really be the ultimate tool for many stock video contributors. We would be really glad, if we could test it and if it could withstand against our current setup with Sony A7s+Atomos Shogun. That’s why in the mean time, we will conclude some facts from characteristics they put online and other reviewers. We personally really love using Canon lenses. And even with using Sony A7s, we didn’t drop the lenses but rather bought an adapter from Commlite (cheaper version of Metabones). 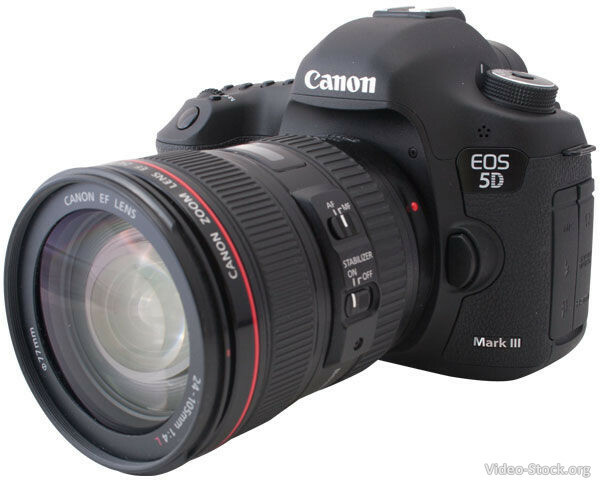 Because we still have Canon 5D Mark III, we use same lenses for photography too. And photo support on Canon is superb. In the past when Lumix GH2 was released, we were confronted if we stayed on Canon 550D or go for completely new system. That would mean selling current lenses and body for completely new ones. And because there was not Metabones at that time, no one was using Panasonic lenses and the camera itself had very much annoying “video look”, we dropped the idea. Not to mention the micro four thirds sensor crop. A lot of cons over pros. In time of release of Lumix GH4 there was similar problems with many new cons. We improved our working style and liked quality footage from cameras, which brought best finished product. This is where GH4 in most cases dropped dead and we went for Sony A7s with Atomos Shogun. Bigger system with much better quality and ISO support. And twice more expensive than GH4 of course. Today using Metabones adapters and boosters isn’t anything new. We actually skipped the Lumix GH3 model, because there wasn’t anything to mention against our Canon 5D Mark III where we used it’s unofficial RAW cDNG capabilities. And quality was amazing (which still is). So, about Panasonic Lumix GH5 … there are many good things about this new equipment. They were even brave enough to announce them long before they even give any test body to the public. Just a month before it’s release there are many good review feedback of course. It shoots 6K (which is actually useless in real world, but great for editing), it shoots 4K in 60fps (which the ONLY thing we miss in our Sony A7s) and it actually shoots 4K in 30fps with better quality footage (what we already have). It also has 180fps at 1080p. They supposedly improved low light capabilities too. And sadly it is still micro four thirds sensor. Which could be fixed with Metabones Booster to get the 1.3x crop sensor (same as the 6 thousand Euros worth Canon 1Dx Mark II) with Canon lenses.